The bank loan market has increased dramatically in recent years and is now viewed by some as a distinct asset class. 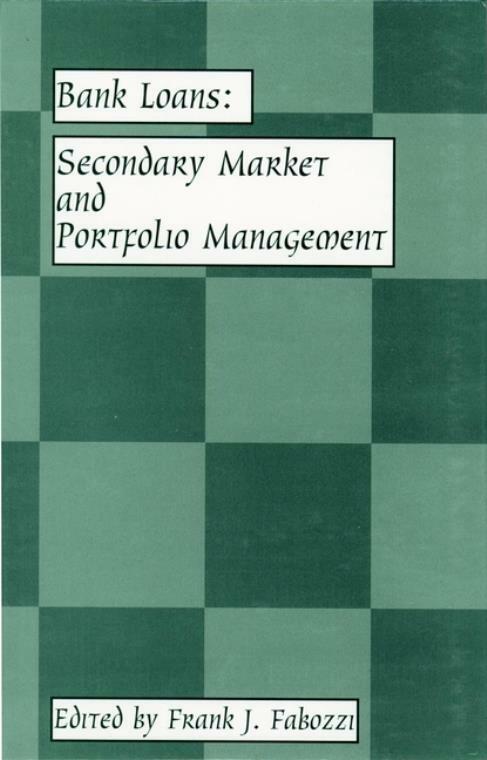 This comprehensive book covers the structure of the market, secondary market in trading practices, and how to manage a bank loan portfolio. 1. The Development of the Leveraged Loan Asset Class (S. Miller). 2. The Leveraged Bank Loan Market (S. Oldham). 3. Evolving Role of Credit Ratings for Bank Loans (S. Bavaria). 4. Bank Loan Ratings (J. Rocher, et al.). 5. The Impact of Subordination on Loan Loss (D. Keisman and S. Miller). 6. Market Standards for Loan Trading in the Secondary Market (A. Taylor). 7. Latin American Loan Syndications in the 1990s (M. Coffey). 8. Securitization of Commercial and Industrial Loans (A. Thompson). 9. Collateralized Loan Obligations: Markets and Analysis (R. Thompson and E. Yun). 10. Corporate Loan Portfolio Management (E. Asarnow and M. McAdams). 11. Credit Derivatives in Bank Loan Management (M. Anson).